hd00:28A child and his mother are running across a field of wheat towards sunset. hd00:13Beautiful girl wearing white dress running through beautiful field at sunset. Young woman jogging at the meadow and enjoying freedom. Summer leisure at nature concept. 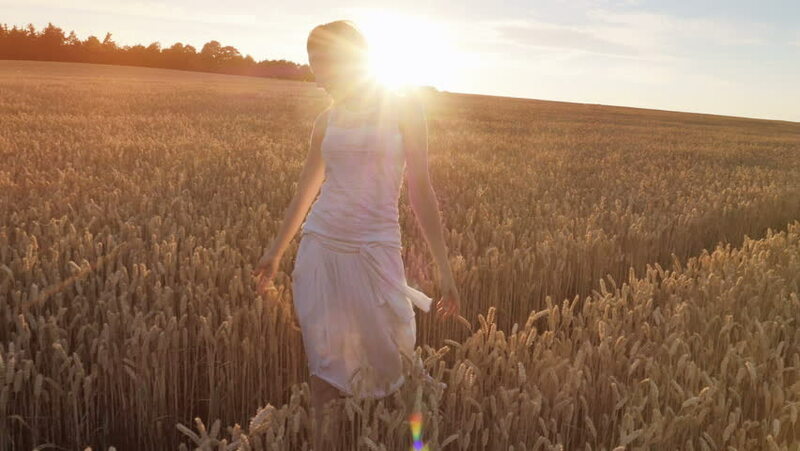 hd00:41Happy girl with long developing hair running through field with golden wheat at sunset. Slow motion.